It was back in 1994 that Descent first graced computers. The 3D flight-based shooter was an immediate hit, spawning two sequels which each improved upon the adrenaline-pumping gameplay. Unfortunately, the era of PC gaming dominance was about to get overrun by consoles… The series was quietly ended and folks did their best to find new frenetic space games to scratch that Descent itch. With the rise of both indie games and Kickstarter PCs have become a massive target audience once again – and now Descent is back in the form of Descent: Underground. And yes, this campaign is by folks who own the name so it’s a completely legal endeavor by developer Descendent Studios. Descent: Underground looks to offer the same excellent gameplay as it always did but with some upgrades that come with this being a modern release. First off, the game’s now being made in Unreal Engine 4 which allows for much better graphical polish. Landscapes are also made of voxels. While some still think of voxels in their Minecraft implementation, these can be very small and non-blocky. For this game the voxels are used to create realistically destructible environments. 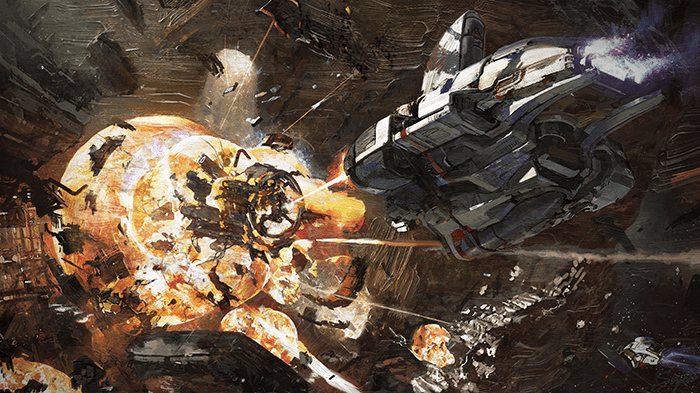 Players must not only fight enemy ships but also vie for limited resources by mining/collecting them before other players can. The focus of this game is in competitive multiplayer as facing off against a computer-controlled component is never as engrossing as it is against another human player. Descent: Underground requires a massive $600,000 for Kickstater success but the way things are going now that’s more than guaranteed. Although the campaign never appears to explicitly state as much, it’s incredibly likely to be a PC release. Track the progress of the Descent: Underground Kickstarter in our Campaign Calendar. Marcus is a fellow with a love for video games, horror, and Japanese food. When he’s not writing about games for a multitude of sites, he’s usually still playing one. Writing about video games is something he hopes to continue doing for many years to come. Writer for @Cliqist - This is my new ''PROFESSIONAL'' account. Yay, crowdfunded video games! Next articleStar Citizen Stretch Goals. What & Where Are They?